Thaung and Tyn both hold a Masters Degree in Computer Science from the Institute of Computer Science and Technology of Yangon, Myanmar. With their career background as university lecturers, they sensed the future rise of digital technology, and KMD (Knowledge Management Dedication) in 1986. Their vision was to develop people and the country with Information and Communication Technology (ICT). Starting as a small private training institution, KMD was reorganised to become a private limited company, and now has more than 140 franchises with up to 30 vocational courses. The institute also provides joint diploma courses with Ministry of Educations; and diplomas and degrees from international Universities. Currently lead by Mr.Ronald Aung Moe Shwe (CEO). 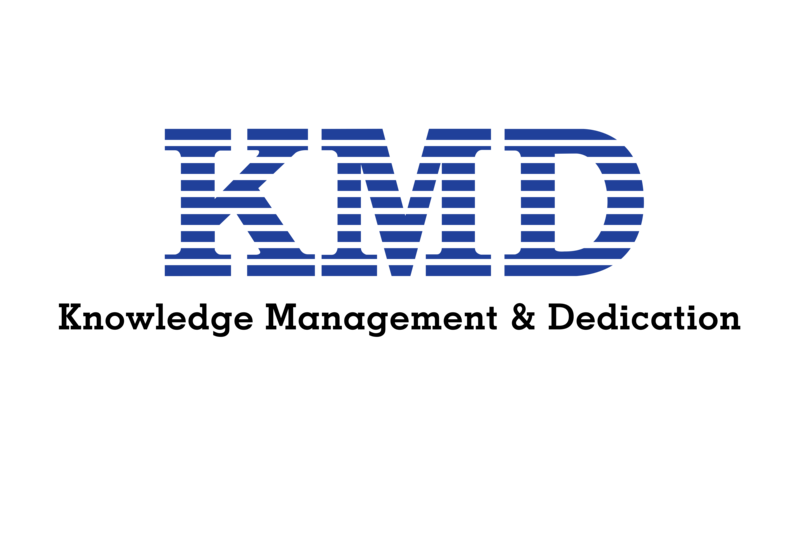 Then KMD was reorganized and became a private limited company since 1990. KMD formed subsidiaries and became KMD Group of Companies. KMD have Quality Management System, ISO Certified (ISO 9001:2008) for KMD Training Centre (KMD Education Services), approved by GIC, UK. The total work force are 842 (as of April 2018). With its dedication for achieving the highest degree of customers’ satisfaction for the quality of products and services, coupled with its own Quality Management System, KMD’s management style has successfully led to achieve and update ISO 9001:2015 Quality Management System Certification from GiC, U.K.
KMD had joined the United Nations Global Compact since May 7, 2012 to support policies and practices to meet the ten universally accepted principles in 4 areas of: Human Rights, Labor, Green environment and Anti-Corruptions. Provide the best Value for the Country with Quality products, ICT Solutions and Develop People with ICT Education Trainings. Develop People and the Country with Information and Communication Technology. Largest one-stop IT products and services provider in Myanmar. Well established infrastructure, management, and workforces. Continue and lasting relationship with major Enterprises / MNC / Government. Large customers base, covering 716,153 graduated from KMD education. Associated with International Universities and ICT Academic Institutions. Experiences as Authorized Distributor for prestige International Brands.